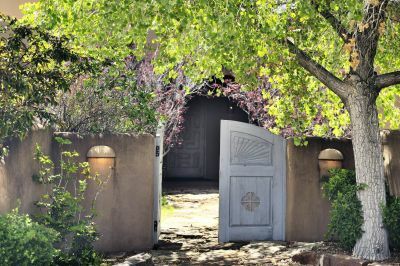 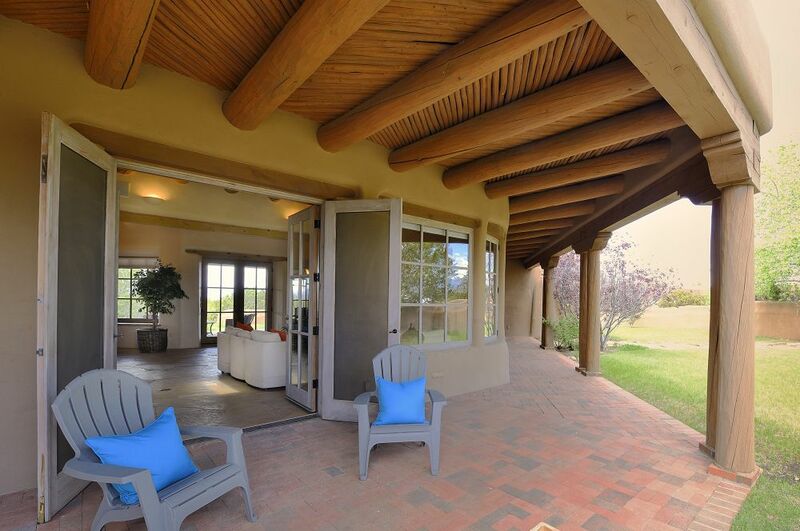 This private, custom architect designed home located on nearly 4 acres in Las Campanas is filled with light. 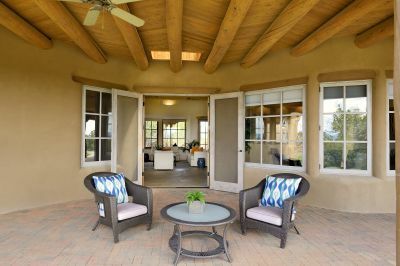 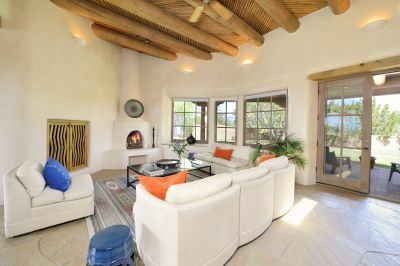 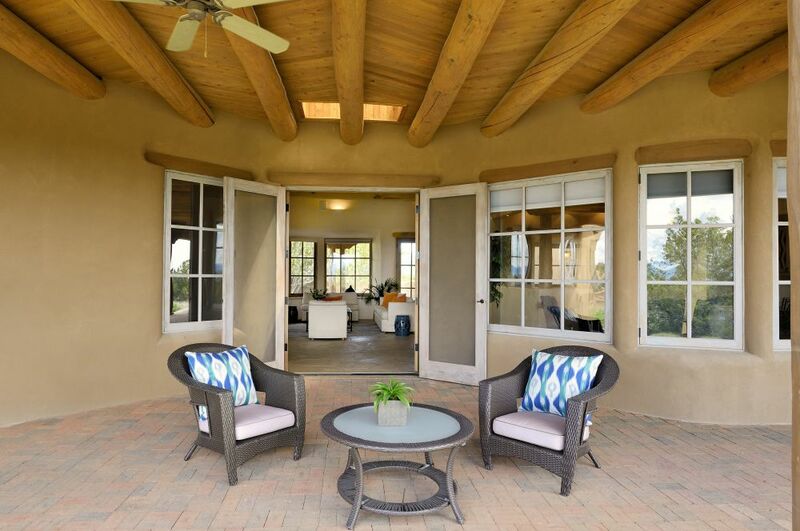 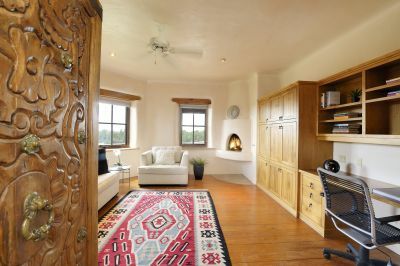 Spacious and comfortable, the open concept living room with a kiva fireplace is perfect for entertaining and adds gracious ease to the well-defined elegance of this partly adobe home. 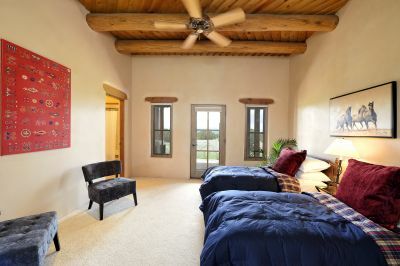 Design accents include carved wood cabinet doors, bancos and flagstone floors plus unique custom light fixtures. 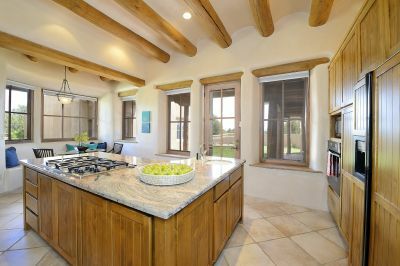 The kitchen is a cook's dream, with granite countertops, ample storage space and a large island with gas stovetop. Enjoy your meals in the elegant dining room or the cozy breakfast nook. 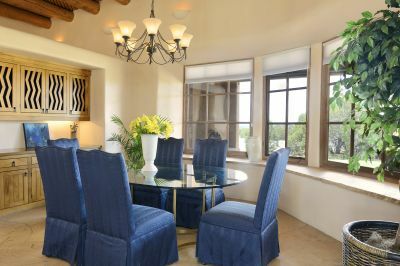 The separate owner&apos;s suite includes a home office with built in cabinets which could also be used as a private library room. 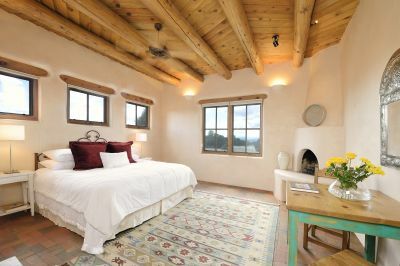 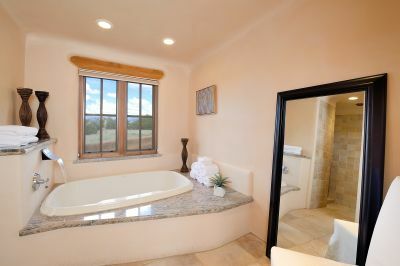 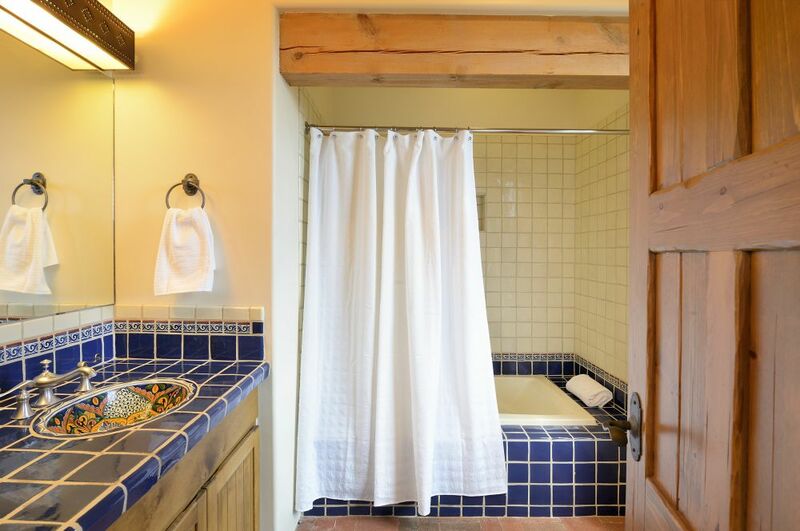 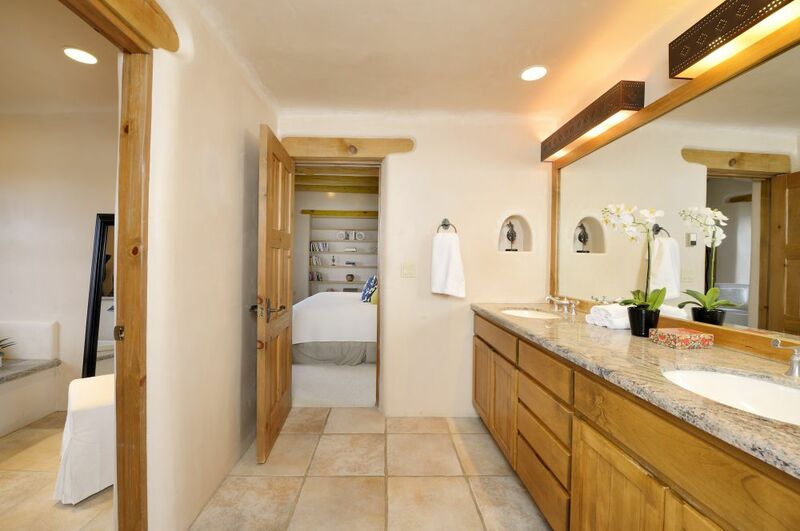 An attached 1 bedroom casita with a full bath and kiva fireplace provides splendid accommodations for your guests. 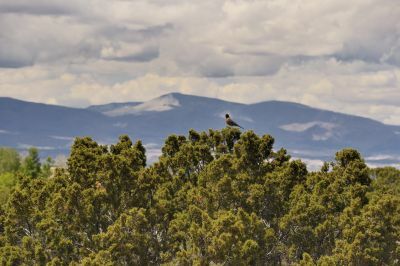 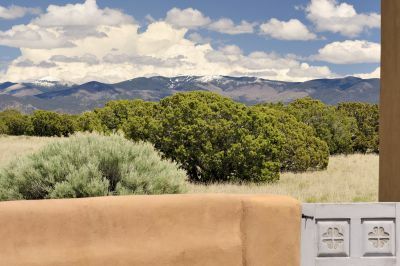 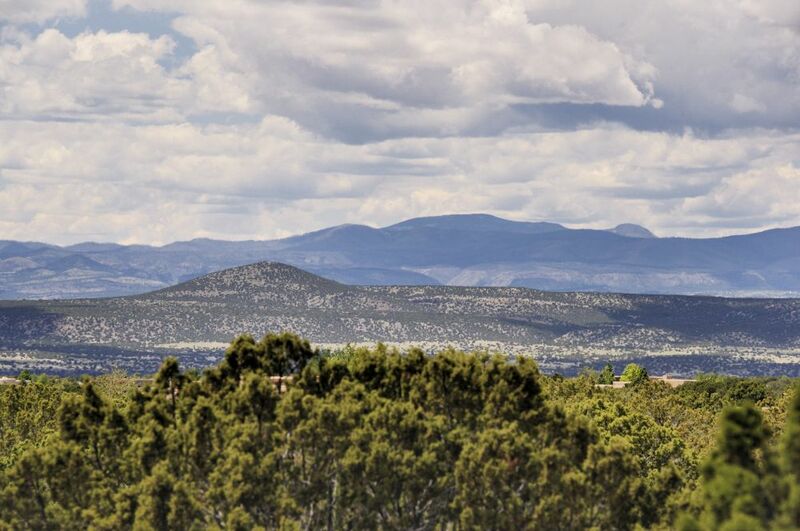 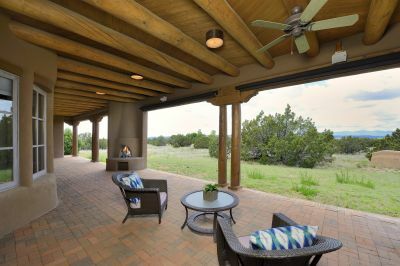 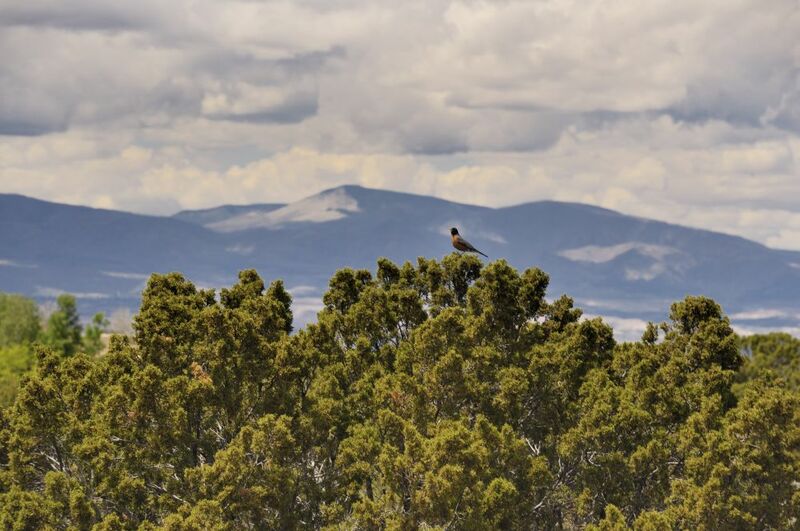 Once outside, enjoy gorgeous views of the Jemez and Sangre de Cristo mountain ranges and view fabulous sunrises and sunsets from the landscaped courtyards and expansive portals surrounding the home, complete with outdoor kiva fireplace. 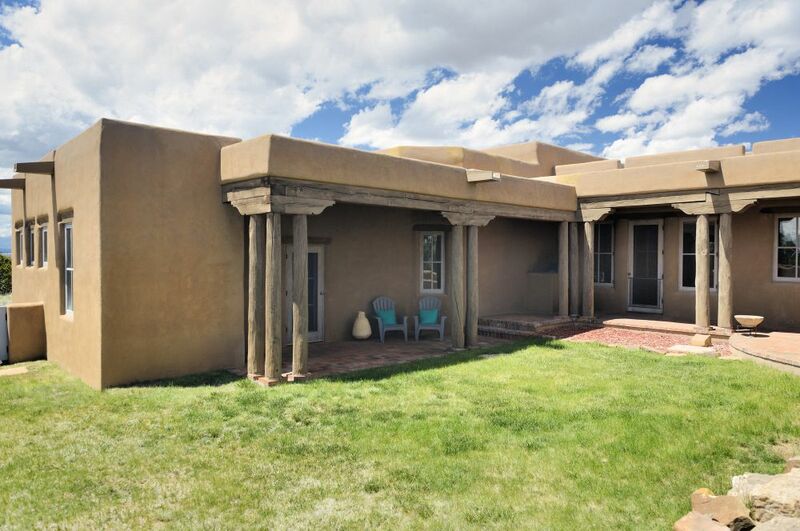 Stucco was recently redone and roof was replaced as of 11/30/2015 with 10 years left on the 12 year warranty (attached). 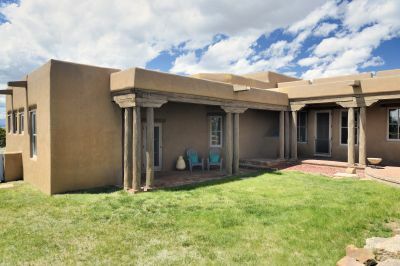 This 4 bedroom, 4 bath home also offers the privacy and luxury of the Las Campanas neighborhood yet it's only a short drive north of Santa Fe with easy access to the Opera and shopping and dining at the Plaza.